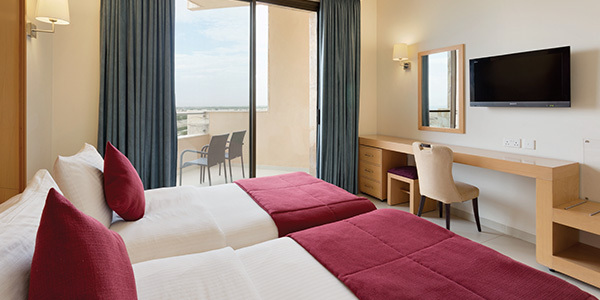 Immerse yourself into refreshing comfort and convenience at Ramada Resort by Wyndham Dead Sea. 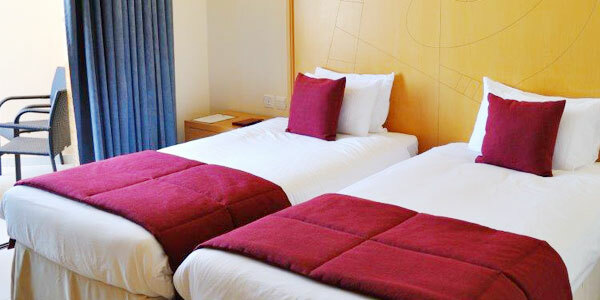 Designed for the discerning international traveler, our spacious rooms and suites feature warm, contemporary decor and thoughtful amenities, including hairdryer, mini-fridges, safes, flat screen TVs and complimentary wireless Internet. 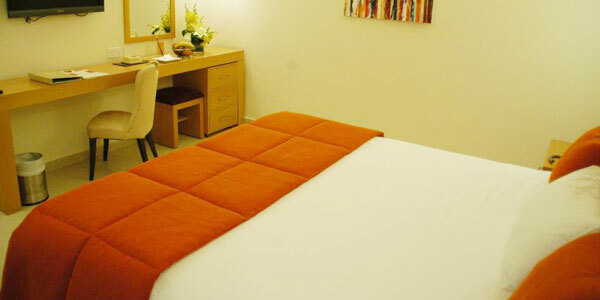 Experience an alluring respite where you can work and relax in a high-tech and tranquil setting. Enjoy incomparable hospitality in one of the world's most life-changing destinations. Discover a spacious, retreat within this well-appointed room, featuring a plush king bed, free wireless Internet and all the comforts of home. 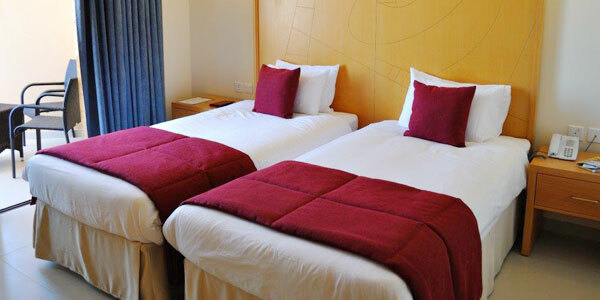 Escape to a quiet sanctuary within our Twin Superior room, featuring an abundance of conveniences, scenic views and two comfortable twin beds. Perfect for corporate travelers, this spacious room features free wireless Internet, a convenient work desk and our full collection of modern amenities. 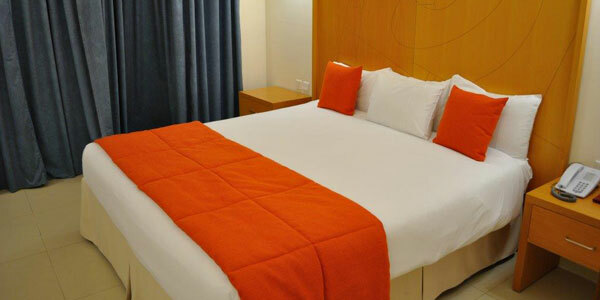 Ideal for vacationing families, this fully-equipped room comes with two comfortable twin beds, free Wi-Fi and a flat panel TV with premium programming. Discover incomparable comfort within the accessible room, equipped with all our premium amenities, a handicap bathroom and shower and convenient balcony access. 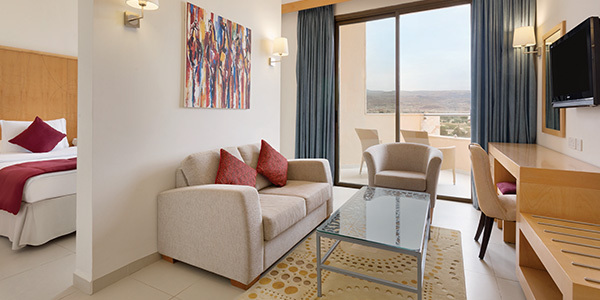 Enjoy the comforts of home in this expansive room, featuring a refrigerator, free wireless Internet, a large terrace and beautiful views of the pool and Dead Sea. 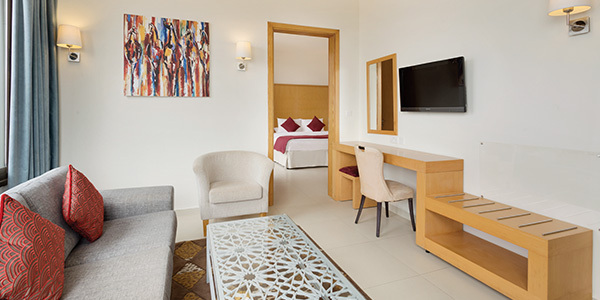 Conveniently linked to our Premium Suite, this lovely room features our complete collection of modern amenities, along with expansive full pool and sea views. Enjoy an extra touch of luxury within this oversized suite, featuring a spacious living area & bedroom, an Espresso machine, bath robes and an unrestricted pool/sea view. 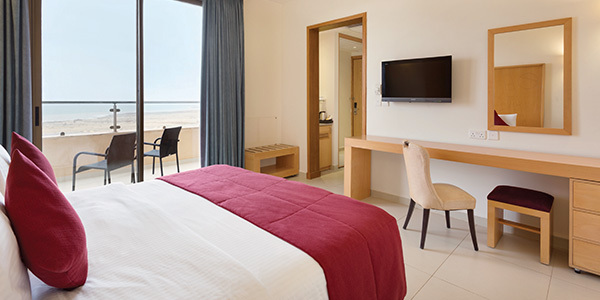 Take in breathtaking sea views from this spacious Deluxe Suite, featuring a large shower room, Espresso machine, bath robes and all our premium standard amenities.